It was only a few days ago we told you how well BlackBerry was currently doing in Africa and coincidentally some interesting news has emerged this week regarding how RIM are helping out the BlackBerry community. It is in the form of BlackBerry Buddies who are now located in a selection of malls in South Africa, primed to serve the BlackBerry nation. The idea of the BlackBerry Buddies scheme is to assist current BlackBerry users with technical issues they may have with their handsets, as well as sharing tips, tricks and shortcuts to give users the best BlackBerry experience possible. Engaging with customers on a personal level is probably the most a company can do to bridge the gap between themselves and the consumer and if you ask me it is a real step in the right direction in terms of customer service. In addition to the BlackBerry Buddies being out on site they will also be answering customer queries online. A consolidated support section has been created on the BlackBerry.co.za website and in addition, questions via the South Africa BlackBerry Facebook page will also be tackled. I think this may be one of the best ideas RIM has had in some time. I'm sure it will be a huge success in South Africa and help make the customer feel valued. 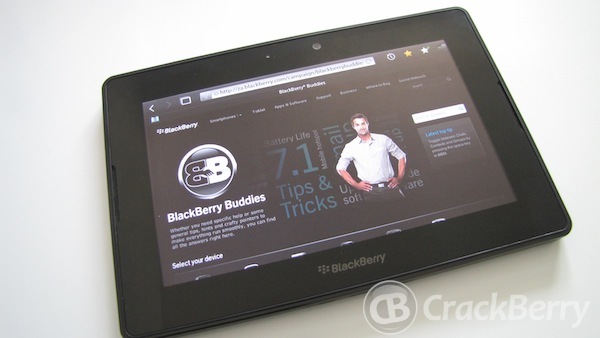 Would you like to see BlackBerry Buddies in your local mall? We would love to know your thoughts and I'm sure that RIM themselves would love your feedback.